Harikrishnan, S., Narayanankutty, K., Binoj Chacko, Anitha, P., Arun, R.U and Prasoon, S. (2014). The effect of various egg sanitizing agents on the microbial and duckling qualities of Kuttanad duck eggs. International Journal of Development Research. 4 (2). 283-285. Harikrishnan, S., Narayanankutty, K., Binoj Chacko and Anitha, P. (2014). The Effect of Various Sanitizing Agents on the Economics of hatching Kuttanad Duck Eggs. The Indian Journal of Field Veterinarians.9:(3).67-68. Harikrishnan, S., Narayanankutty, K., Binoj Chacko, Anitha, P. and Jalaludeen, A. (2013). Comparative assessment of egg sanitizing agents on the hatchability of Kuttanad duck eggs. International Journal of Current Research. 5 (12). 3987-3988. 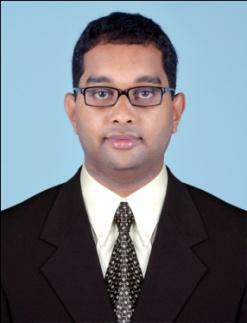 Harikrishnan S. and Ponnuvel, P. (2012). A Glance at Internal and External qualities of Kuttanad, White Pekin and Commercial Duck Eggs. The Indian Journal of Field Veterinarians.7:(4).38-40. Arun, R. U., Binoj Chacko., Anitha P., Harikrishnan, S., Prasoon, S. and Vimal Antony. (2014). Effect of Feed Particle Size on Performance Of Broiler Chicken. International Journal of Development Research. 4 (3).1421-23. Prasoon, S., Anitha P Vimal A, M, Harikrishnan, S and Arun, R. U (2014) Egg production performance of progenies of Australorp with three different strains of White Leghorn. International Journal of Scientific Research. 3 (8).72-74. Dr. Arun.R.Unni, Dr. Binoj Chacko, Dr. Narayanankutty, K and Dr.Harikrishnan, S. (2014). Effect of Feed Particle Size on Slaughter Parameters in Broiler Chicken. International Journal of Scientific Research. 3 (7).35-37.